I am guessing the author of this flier meant to write “last seen Sunday, October 16th“. 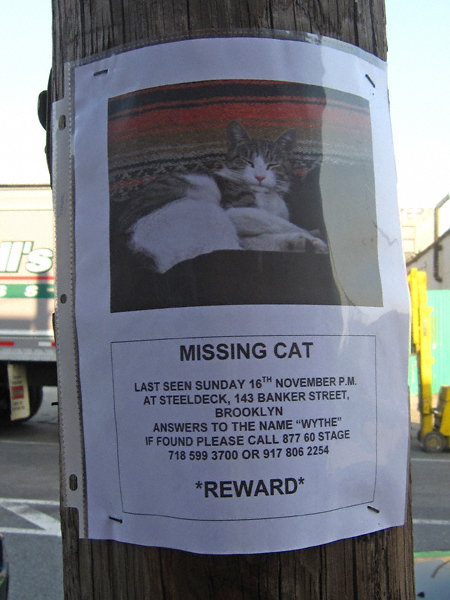 If you have seen Wythe* or know of his (or her) whereabouts please contact his “person” at the above telephone number. Let’s get this gorgeous guy (or gal) back home where he belongs! *Which is a WONDERFUL name for a cat, by the way.